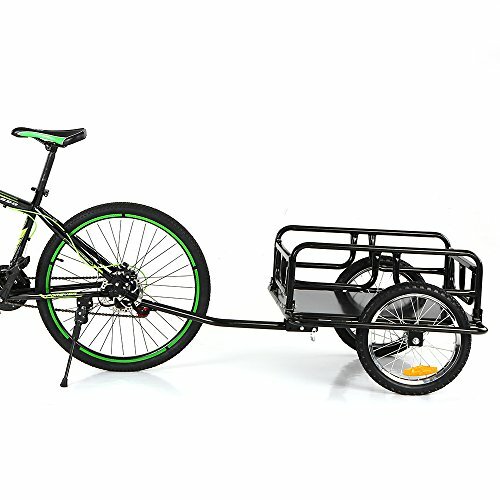 This detachable and foldable bike cargo trailer with a removable transportation box and a foldable metal frame can be attached to almost any bicycle and has plenty of space for groceries and running routine errands. Specially strengthened metal drawbar & solid metal bottom, steady, strong & durable. Maximum loading weight up to 88LBS, and side walls fold down making it easy to transport large objects.